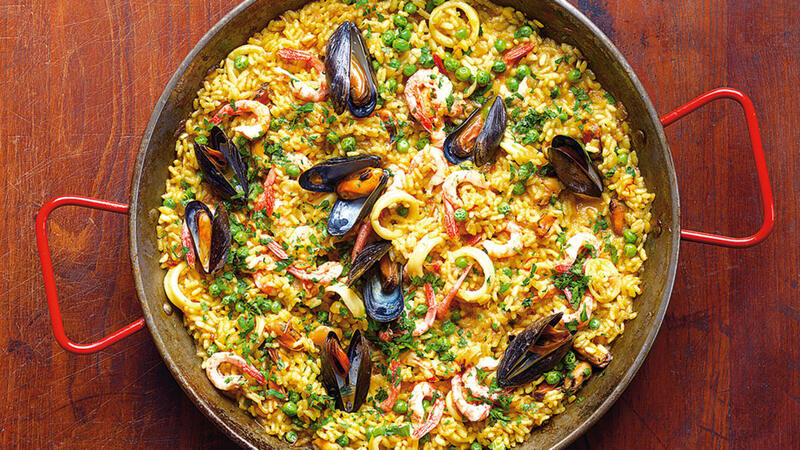 Paella is perhaps the most famous Spanish dish of all, and certainly one of the most abused. 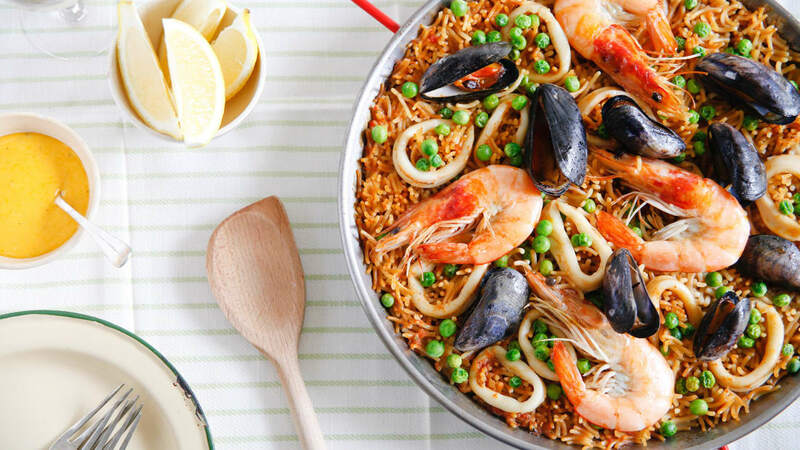 Authentic paella originates from the region around Valencia, and comes in two varieties: Paella Valenciana, with rabbit and chicken; and seafood paella. 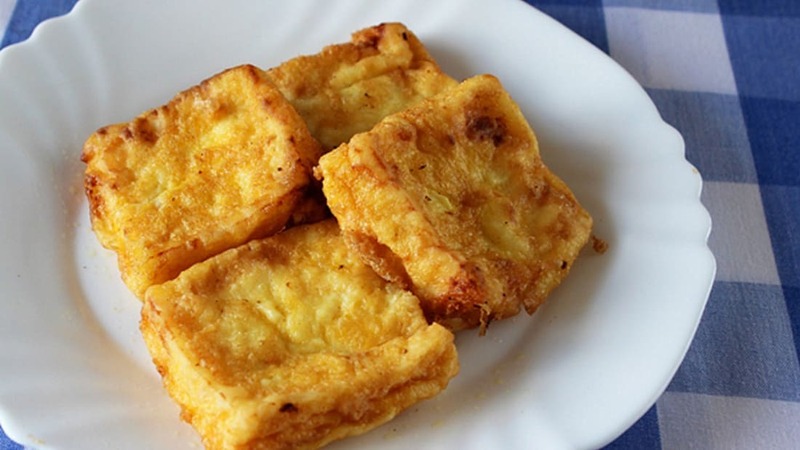 The potatoes are cubed and shallow fried and served the same everywhere. 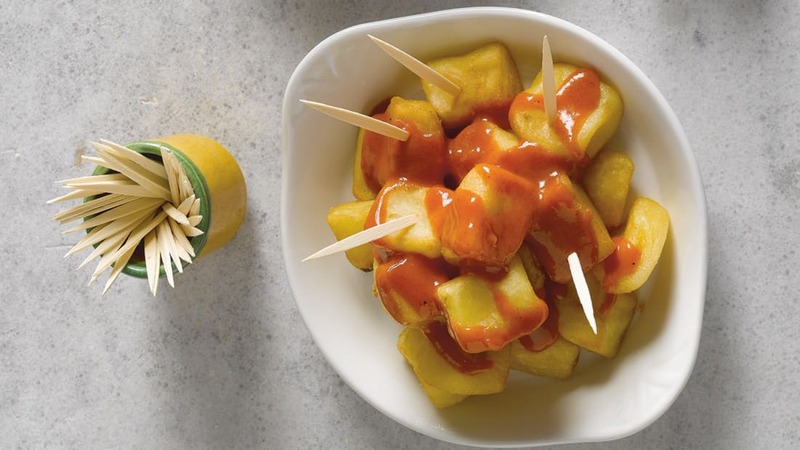 The sauce can come in any number of ways, from spicy ketchup to garlic mayonnaise with a dusting of pimiento (smoked paprika), or both. 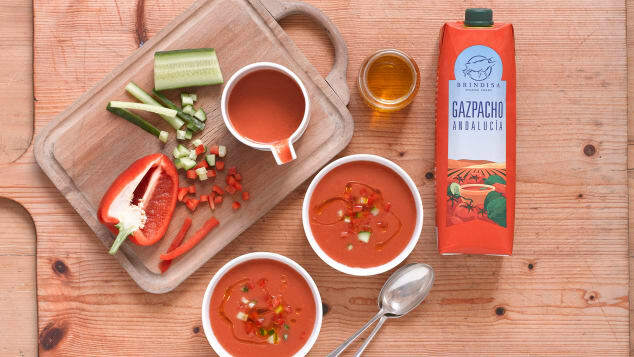 This tomato-based Andalusian soup is most famous for being served cold. This can be quite a shock for those who aren't expecting it, but in the searing heat of a Seville summer, the attraction becomes clear. 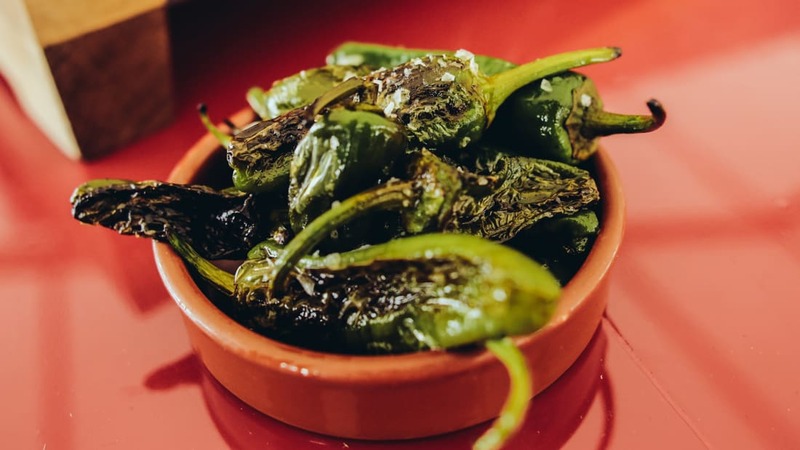 Pimientos de Padron are fried and served with a deep sprinkling of salt. Though generally sweet and mild, their fame stems from the fact that the occasional pepper will be fiery hot -- lending a Russian Roulette element of surprise to eating them. 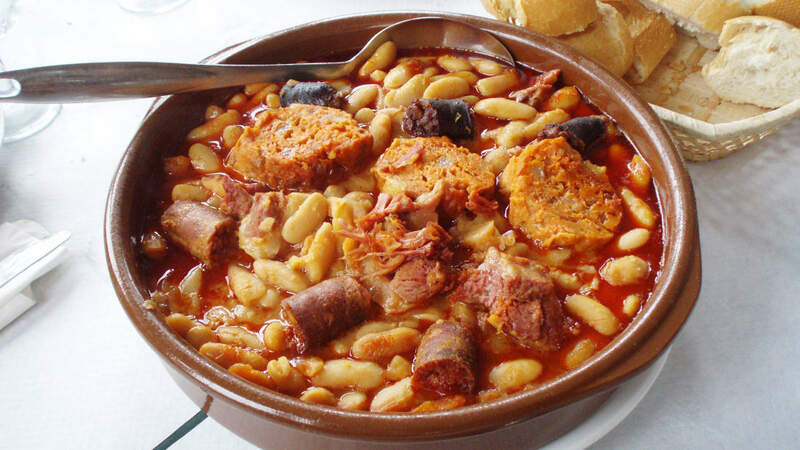 Less well known to tourists, fideuà is a type of Spanish pasta similar to vermicelli. 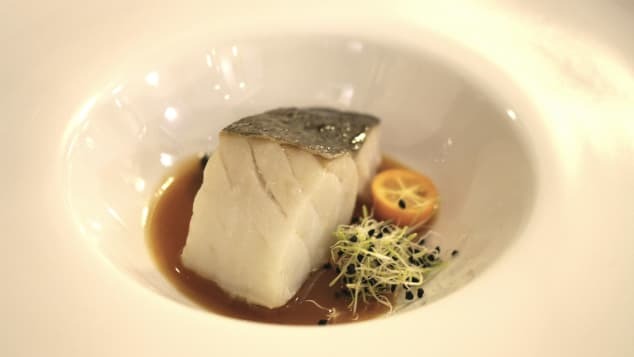 It's popular in Catalonia and Valencia in seafood dishes that rival paella for their taste and intricacy. 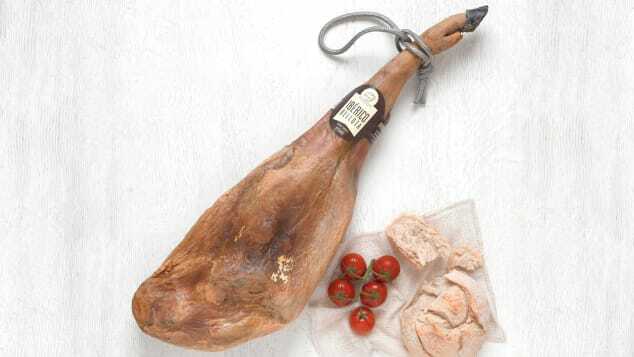 Jamón, or cured ham, is the most celebrated Spanish food product. 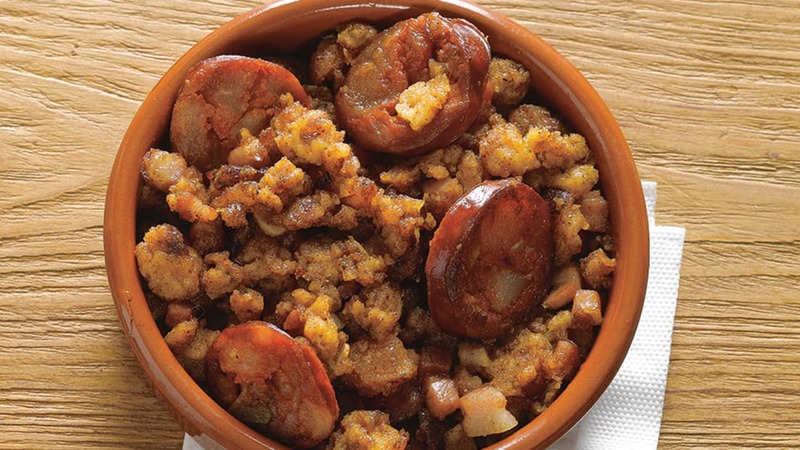 Legs of ham were traditionally salted and hung up to dry to preserve them through the long winter months. 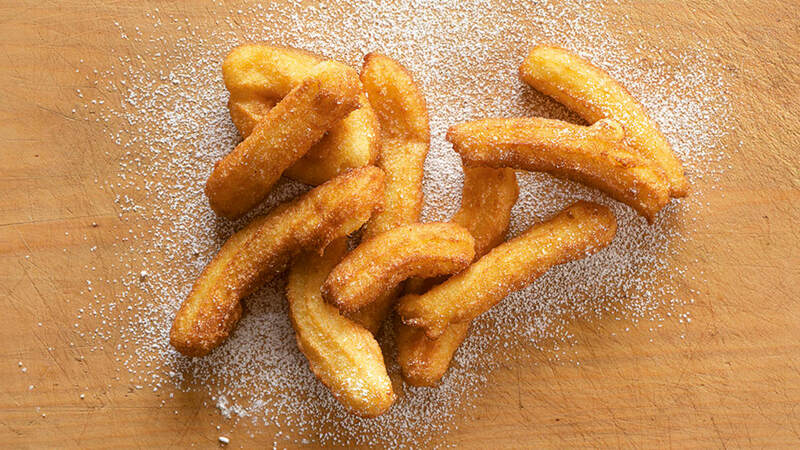 Churros are a popular snack made from fried dough pastry, cut into sausage shapes and doused in sugar. 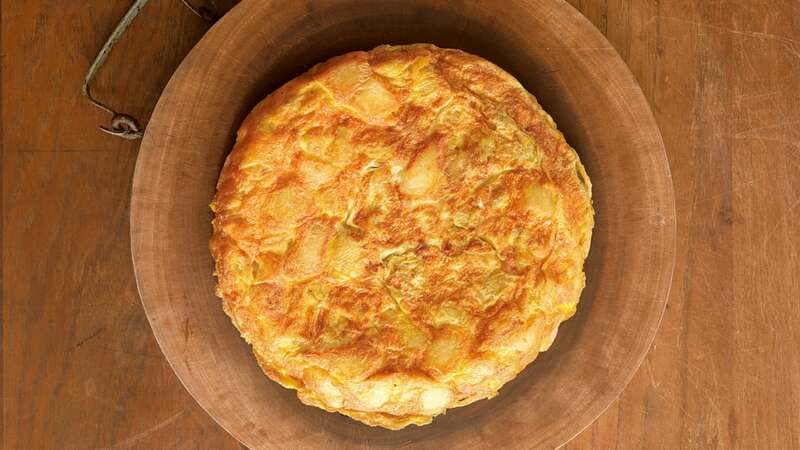 They're a favorite at fiestas, or street parties, when they're sold by roadside vendors. Dipping them in hot melted chocolate is pretty much the law. 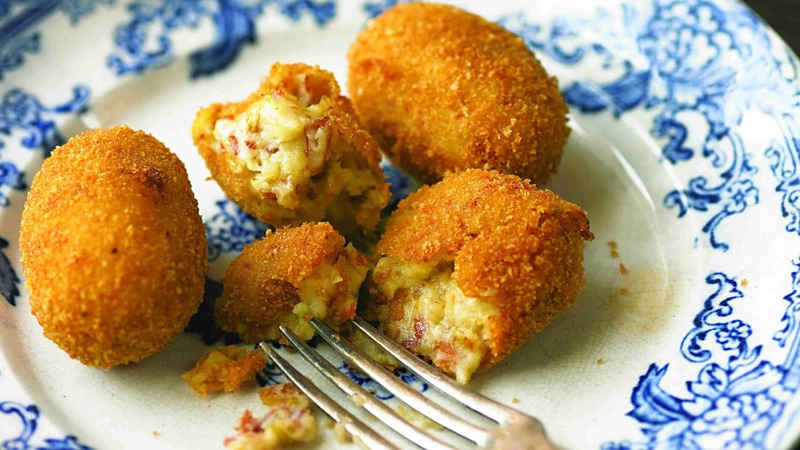 Jamón croquetas and salt cod croquetas are common varieties. 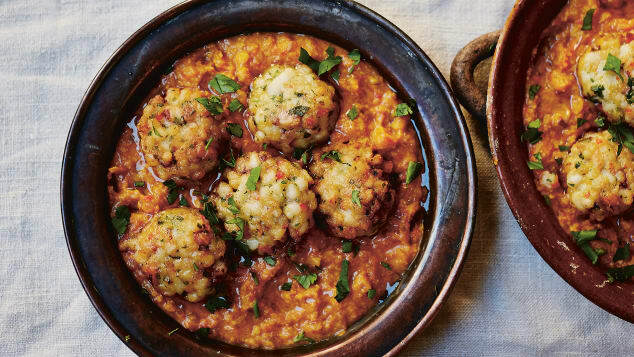 They're tricky to make and are perhaps best enjoyed at a tapas bar, along with a cold beer. Looks like Demerara Guy is preparing for the Venezuelan invasion.